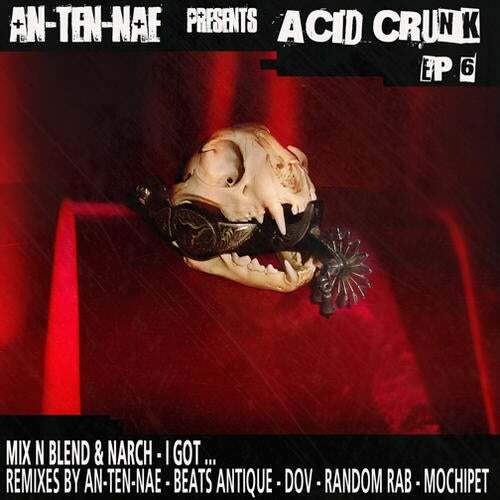 The success of An-ten-naes Acid Crunk series has helped define more than a genre but a culture of freaky funk for the dancefloor. This time round he picked Cape Town South Africa based artists Mix n Blend & Narch and then put the track through his own remix actions and got remixes by some of the US west coats most sought after artists,; Beats Antique Dov, Mochipet and Random Rab. From the jazzed out instrumentation of Beats Antique to the hyphe glitch of Mochipet the effect is high impact. Mix n Blend & Narch have been rocking festivals around South Africa and keeping the Cape own scene funky and fresh.